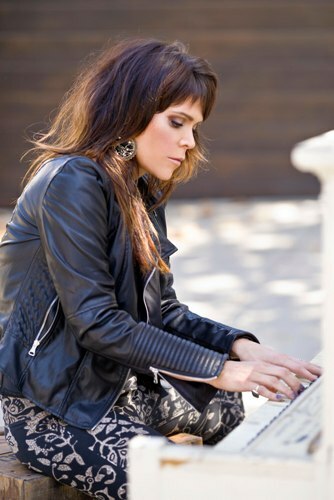 Sultry blues singer-songwriter Beth Hart begins a seven-date British tour at Birmingham's Symphony Hall on November 11, 2016. The 44-year-old will be showcasing her latest album, Fire on the Floor, which includes new single, Love is a Lie. With eight studio albums and a bunch of critically acclaimed collaborations on her CV it is a surprise that Beth did not originally set out to be a vocalist. "I never thought I'd be a singer," she reveals. "I thought I'd be a classical pianist or cellist, go to Juilliard. When I did start singing, I took opera lessons and my teacher was wonderful, but one day she goes, 'Beth, I don't think classical is for you, because you like to do your own thing with the music'. That's when I started putting singing to my own music." She performed acoustic shows around her native Los Angeles and got her big break in 1993 when a $50 bet with a friend led her onto a TV talent show, Ed McMahon's Star Search, which she won. The $100,000 prize, however, led Beth into feeling pressured and depressed. Three years later she signed to Atlantic Records and released Immortal, which contained the international hit Am I The One. Today she contends it was on the follow-up, 1999's Screamin' For My Supper – home to the smash-hit LA Song (Out Of This Town) – that she found her true voice. "I think that record is where I became a real writer," she contends. But, again, pressure clipped her wings. A heady cocktail of drugs and Beth's unmedicated bipolar disorder ensured that her Atlantic deal went sour and it took the intervention of road manager Scott Guetzkow to pull her back from the brink. "I went into five different hospitals, not including rehabs," she says. "It was so bad that I remember talking to my psychologist and he said, 'I don't think you can handle being in this business'." Around the turn of the millennium, Beth ditched the drugs, drove to Las Vegas and married Scott Guetzkow. The musical highs returned. In 2003, she shot back with third album, Leave the Light On, while in 2005 her popularity on the Continent was captured by the Live at Paradiso release. In 2007, 37 Days gave Beth the European hit Good As It Gets, and in 2010, My California found her singing with new sensitivity about personal themes, in particular the loss of her beloved sister, Sharon, on Sister Heroine. It was a chance meeting with blues star Joe Bonamassa that changed her trajectory. She was invited to sing on his soul-rock covers album, 2011's Don't Explain. "I said, 'are you kidding me? ','' she laughs of her response. "We made a big list of covers over the phone, but we only recorded for four days. We instantly clicked." Don't Explain proved to be the perfect springboard for Beth's next album, Bang Bang Boom Boom, produced by Kevin Shirley. ''Every album is special to me,'' she says, ''but with this one, there's a real specialness about it, because I'm at a different age and in a new headspace." 2013 saw Beth reunited with Joe Bonamassa and Kevin Shirley for Seesaw, a second album of covers from various musical eras. The 11-song set list features soulful classics previously made famous by Aretha Franklin, Etta James, Billie Holiday, Donnie Hathaway, Lucinda Williams, Buddy Miles, Tina Turner, Slackwax, Melody Gardot, and Nina Simone. The collection received a Grammy nomination in the Best Blues Album category. In 2015, Beth released the critically acclaimed studio album Better Than Home and toured the globe. One year on she's doing it all over again with Fire on the Floor. 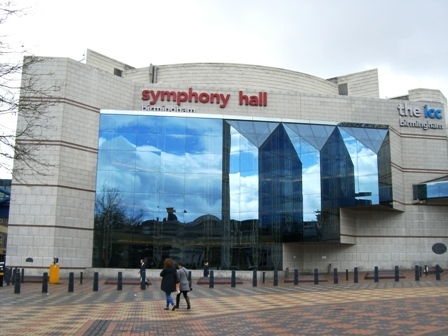 Nov 23: Royal Festival Hall, London.